U.S. stock futures pointed to more gains at the open, as investors looked ahead to a fresh batch of economic data and corporate earnings, while continuing to monitor global trade developments. At 5:55AM ET (1050GMT), the blue-chip Dow futures were up 77 points, or about 0.3%, while the S&P 500 futures tacked on 4 points, or roughly 0.2%. The tech-heavy Nasdaq 100 futures indicated a gain of 15 points, or 0.2%, which would put the benchmark on track to open at a fresh record high. The earnings calendar will be fairly quiet with no major companies set to report results, though investors will get quarterly updates from Vera Bradley (NASDAQ:VRA), Ascena Retail (NASDAQ:ASNA), Verifone Systems (NYSE:PAY), and Okta (NASDAQ:OKTA). Wall Street stocks rose on Tuesday, as the Nasdaq closed at a record high with help from the technology and consumer discretionary sectors. Elsewhere, in Europe, most of the continent’s major bourses inched higher in mid-morning trade, though Italian stocks pulled lower amid a fresh rise in borrowing costs in Europe’s third-biggest economy. Earlier, Asian markets closed higher, as regional tech stocks advanced on the back of gains in their U.S. counterparts overnight. Despite the apparent improvement in market sentiment, trade-related concerns lingered. 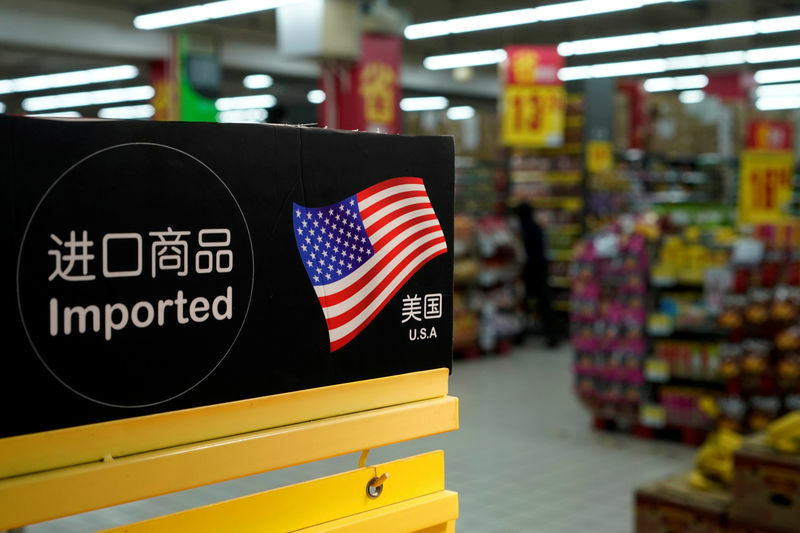 China has offered to purchase almost $70 billion in U.S. agriculture and energy products from the U.S. if the latter held off on imposing tariffs against Chinese imports. With China signaling that it is open to trade negotiations, it remained to be seen what the Trump administration’s next move would be following the trade-related threats it had made. The world’s two largest economies have threatened each other with tens of billions of dollars’ worth of tariffs in recent months, leading to worries that Washington and Beijing may engage in a full-scale trade war that could damage global growth and roil markets. The U.S. is also involved in trade discussions with Canada and Mexico. White House economic advisor Larry Kudlow on Tuesday said that President Donald Trump was considering separate negotiations with the two countries. It was not clear if such a move would bring an end to the trilateral NAFTA. Staying on the topic, market participants will pay close attention to monthly trade figures due out this morning, as they seek to gauge if there has been any impact on trade activity from the recent trade dispute between the U.S. and China. The U.S. Commerce Department will release international trade data for April at 8:30AM ET (1230GMT). The deficit is forecast to widen to $50.0 billion, from $49.0 billion in March. Export and import data will also likely attract attention. Also on the economic calendar will be the final reading on worker productivity in the first quarter, which is expected to rise 0.7% during the first three months of the year. Data released Tuesday showed that service-sector activity rose to a three-year high last month, while job openings hit a record peak. The upbeat data added to a recent string of better-than-expected economic reports, including last week’s good news on job growth and the manufacturing sector, that have suggested economic growth was regaining speed early in the second quarter. The dollar index was off almost 0.2% to 93.69. The European Central Bank is increasingly confident that inflation is rising back to its target and will next week debate whether to gradually unwind bond purchases, the central bank’s chief economist Peter Praet told the Congress of Actuaries in Berlin. The hawkish comments prompted money market investors to price in a roughly 90% chance that the ECB will raise interest rates in July 2019. The euro jumped to a 10-day high versus the dollar (EUR/USD), while bond yields across the single currency bloc rose amid indications that monetary policy normalization in the euro zone is still on track. The U.S. Energy Information Administration will release its official weekly oil supplies report for the week ended June 1 at 10:30AM ET (1430GMT), amid forecasts for an oil-stock drop of 1.8 million barrels. After markets closed Tuesday, the American Petroleum Institute said that U.S. oil inventories fell by 2 million barrels last week. U.S. West Texas Intermediate WTI crude was down 16 cents, or around 0.3%, at $65.36 a barrel ahead of the data, while Brent crude futures were up 26 cents, or 0.4%, at $75.66 a barrel. Both benchmarks touched their lowest levels in around two months on Tuesday after a report that the U.S. government had asked Saudi Arabia and other major producers to increase oil output.